It's true. The secret sauce to a successful social media strategy is a four letter word. 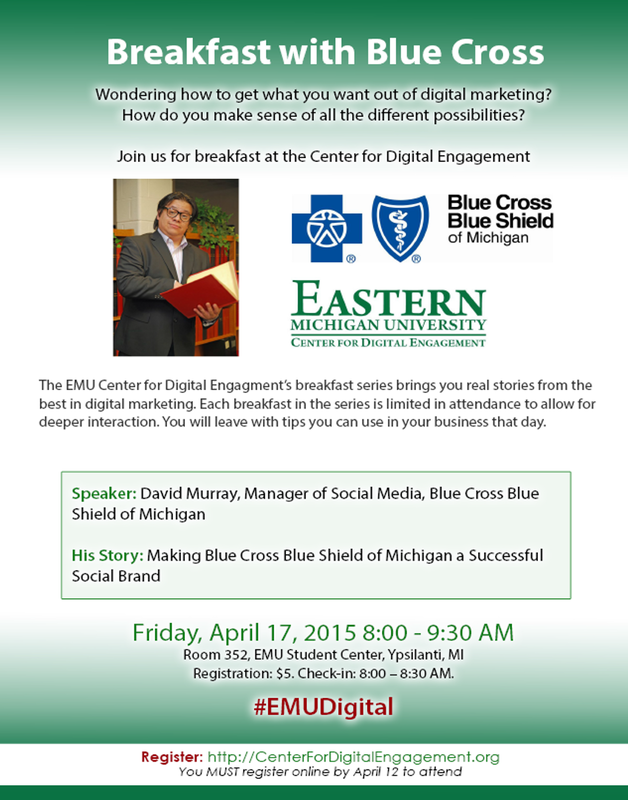 But you'll have to hear it from David Murray, Manager of Social Media for Blue Cross Blue Shield of Michigan (BCBSM). We learned a lot from him when we sat down and talked with him about his career, social media advice for businesses, and more. In talking with David, we learned in two years his strategic direction increased BCBSM's online community by over 1400% with more than 250,000 Michiganders. Their blog, AHealthierMichigan.org, has won back-to-back best blog of the year awards, and maintains an average content participation rate between 25-30%. Still not impressed? BCBSM’s AHealthierMichigan Facebook Page is the number one Health and Wellness page in Michigan with a participation rate that is 91% above the healthcare industry average. 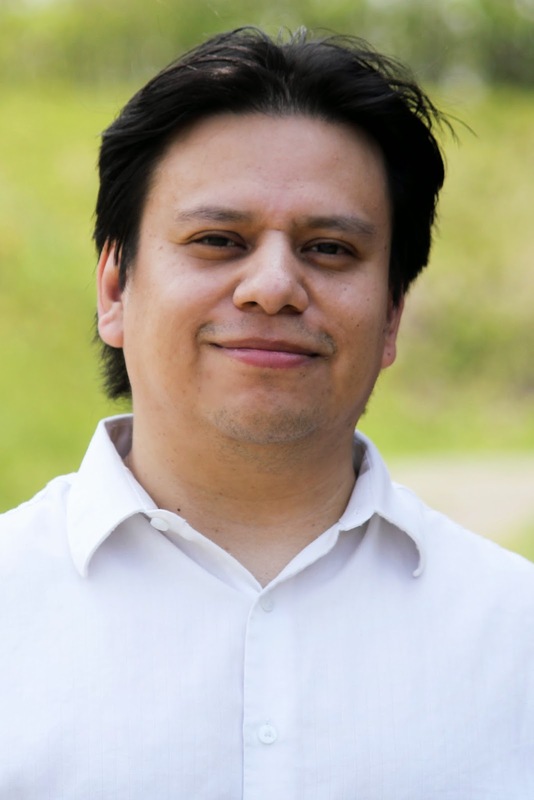 An advocate for education and best practices in digital and social web communications, David founded the Social Media Club Detroit, and has spoken at BlogWorld, unGeeked, and TEDx events. Murray has also been featured in Wall Street Journal Online, and David Meerman Scott's book, The New Rules of PR and Marketing. Tell us a little about yourself and your role at your organization. My official title is Social Media Manager. I currently oversee all social strategy for our brand and many of our business units who are integrating digital communications. Why is digital marketing and social media vital to your organization’s business goals? Health Insurance is currently going through tremendous change and the landscape can be very confusing. By providing answers to questions people have we not only continue to build brand loyalty with our members, but we also build trust with potential members. By being proactive on social media we position ourselves as a trusted leader in our industry and one that is recognized as a valuable resource of helpful information. What are the keys to a successful social media or digital marketing strategy? The secret sauce to a successful social media strategy is a four letter word – HELP. All businesses and organizations should aim to help their audience with their social media efforts. People remember who helped them. They talk about who helped them. Ultimately, they share with other people businesses who help. If your intent is to help your audience you will win in the social media landscape because you will find that you have earned their trust and permission to market to them. I would also suggest that wherever possible integrate social with your current marketing efforts be it traditional or digital. What digital or social media metrics should businesses measure to determine the success of their efforts? Social media data has three layers. The first layer is all the likes, share, comments, etc. These are all well and good, but alone they don’t provide real context. You have to dive into the second layer which is behavior. This is where the real meat is. When did that blog post get shared? Who shared it? What time of day was it? What is their demographic? Where do they live? What can we learn from this that we can use in our future social efforts? You can see how deep this layer can get, and how you’ll have to roll up your sleeves to find the answers you seek. However, I can tell you that if you do this legwork it pays off, and when you get to the point where you can share your data findings with other marketing/communication departments in your organization, you begin to define data commonalities that can save your company money and time. This is ROI leadership recognizes and appreciates. In your opinion, what is the biggest blunder you see businesses make when getting started with social media and digital campaigns? That many businesses initially attempt to market directly through their social media efforts. The reality is that no one cares about you, but they do care if you can help them. So, instead of listening and attempting to communicate with their customers, they assume the type of content people want. This is a big turn off, and you immediately lose trust with the audience you were hoping to rally to your cause or product. How would you advise a business with limited time and resources in creating a more successful online presence? It starts with story and content. Don’t worry about what channel you should be on. Work on creating strong content people want and place that content on a web property you own. Get that right and then start thinking about where and how that content should be shared. How did you get started in your field? By accident. Ten years ago my boss at the time asked that I put a press release together for our website. While writing it I intuitively felt that a press release wasn’t the only way we could communicate about our company and what we do. I jumped on the internet and began searching for different ways companies should be communicating. I eventually came across The Gobbledygook Manifesto by David Meerman Scott. Immediately a lightbulb went on and I while I didn’t know exactly what social media was at the time, I did know that it is what I wanted to do for living. For the next six months I listened to what others were doing, attended the very first Blog World conference, and basically taught myself how to do social media for another company. My big break came when I became the community manager for T. Boone Pickens’ PickensPlan. The rest they say is history. What advice do you have for people looking to enter the profession? The social media party is over and brands are looking for professionals who can deliver business results. If you are a student, this isn’t necessarily experience one can obtain right out of school. And if you are looking to transition into social media as a profession, this can be a steep learning curve. My advice would be to find a nonprofit whose mission is something you are already passionate about, and volunteer to put their social media program together. This doesn’t have to be a nonprofit. You could do this for a local business you frequent, or an organization a family member belongs to like an afterschool program. Maybe you belong to a club or organization that could use some help with their social media? Regardless who you do it for, this shows initiative and dedication which most employers find attractive regardless of the job requirements. Having strong writing skills helps, but I would also recommend brushing up on your creativeness. The social web is a visual world and having an eye for design will pay dividends. If you'd like to learn more social media insights from David Murray, be sure to RSVP for his presentation on Friday, April 17 when he'll share his story about transforming BCBSM into a successful social brand.